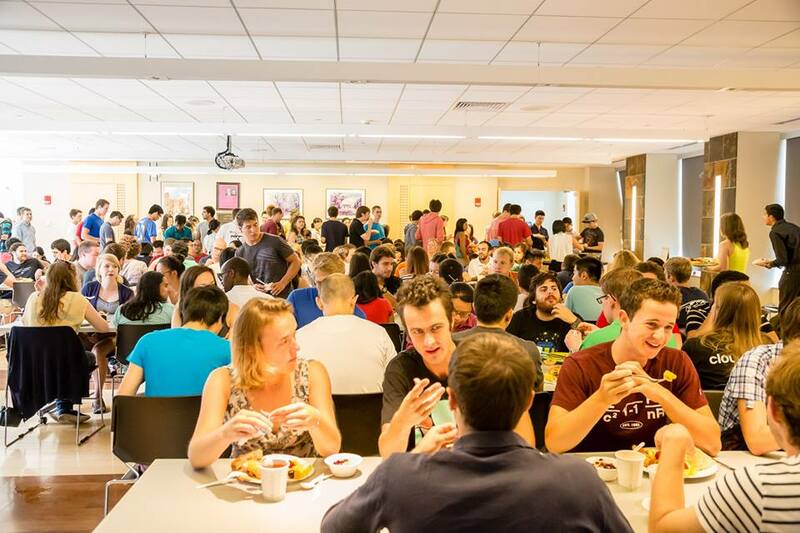 Sunday Brunch is Ashdown's monthly community gathering during which breakfast food and drinks are provided in the Hulsizer Room for enjoyment by the entire graduate community. Held from 12 PM to 2 PM one Sunday a month, Sunday Brunch is run by Ashdown's Brunch Committee with financial support from GradRat, ODGE, and AHEC. First held in 2000, the tradition of Sunday Brunch was started by Woody Sherman, an Ashdown resident, who wanted to provide bagels, coffee, and orange juice for his fellow residents on the weekend. The initial "small-scale", Ashdown-centric event quickly evolved into the much larger, graduate community-wide event we see today with the help of Ann and Terry Orlando, Ashdown's 7th Housemasters. Eventually, when a number of senior Ashdown officers and AHEC members helped establish Sidney-Pacific's community in 2002, they decided to borrow the tradition and hold Sunday Brunches at Sidney-Pacific once a month as well. 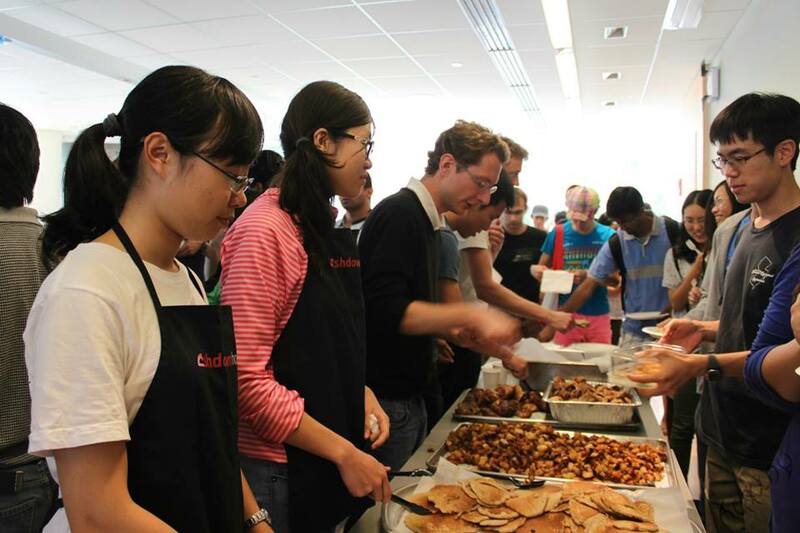 Given that the event had already became a fixture in graduate social life because of Ashdown's historical role as MIT's unofficial graduate student center, both Sidney-Pacific and Ashdown began to work in tandem to provide bimonthly Sunday Brunches for the entire graduate community. Today, Sunday Brunch is run by Ashdown's committed and talented Brunch Committee. 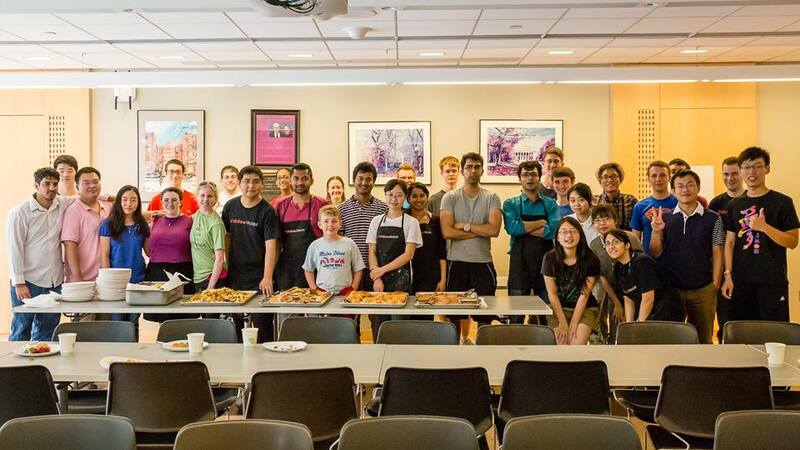 Graduate students who also serve as Ashdown Officers, the Brunch Committee wakes up early on Sunday Brunch mornings to tirelessly prepare large amounts of breakfast food and drink for over 200 people. Typical breakfast foods that are served include scrambled eggs, sausages, pancakes, cut pineapples, bagels, muffins, yogurt, and, most importantly, Ashdown Sunday Brunch's signature toasted chocolate croissants. Coffee, tea, fruit juice, and milk are also provided. The Brunch Committee always welcomes volunteers, and anyone interested in helping out can stop by the Hulsizer around 10 AM on Sunday Brunch mornings. It is a great opportunity to not only serve the entire graduate community but also to meet committed members of the Ashdown Community and make friends! The above information contains information gathered from personal interviews, MIT Tech articles and MIT webpages.